Side Note, I am using this for personal use only, I don’t know what rules this breaks, so use it at your own risk. My town has a local paper, that basically keeps up to date on all the local happenings. Mostly their website is a day or two behind, but I probably wouldn’t read a daily paper anyways. It didn’t take me to long to get it to work, I started at 7:50 and it’s now 9:10 and it’s working well enough. So setting up an Alexa App is really simple. I went to https://developer.amazon.com and clicked on Alexa, then I logged in. by clicking at the top right. Click on Apps and Services Then click on Alexa Again. 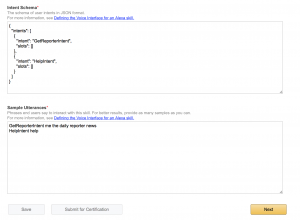 Click on Alexa Skills Kit (An Alexa App is called a Skill). I pressed add a new skill and I was off! 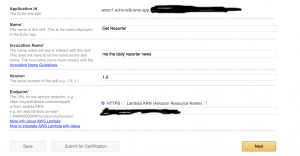 Make sure you have a server that has a cert installed, Not a wildcard, I was not able to make that work, the good news is the same site can be used for multiple projects. Now it’s time to code it up! I can write in a simple language, nothing new to learn, I wrote mine in PHP. So, when the Echo does a post to you it does so from Amazon (your request is proxied at Amazon), so we need to read the full input (don’t worry it’s JSON), for this app, I don’t really care what the person said or intents or anything because if this app gets called, I am just going. So I figured it out, if I altered the user agent, BOOM, I could load unlimited articles. I am sure there is much more pretty ways to do this, but this is what I got! 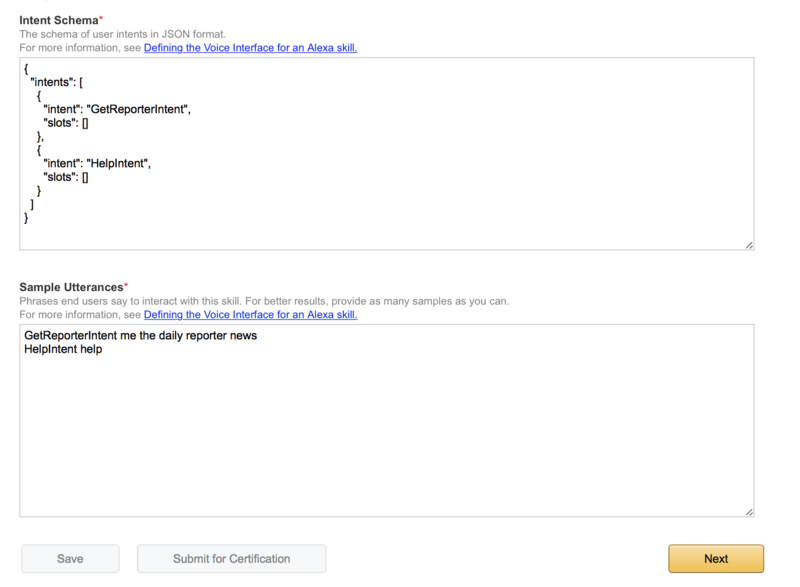 This code is some specific parsing for different kinds of articles, it basically works, might take some tweaking, that is what is so great about an Alexa App, I can change one thing and it’s rolled out everywhere! This is just some cleanup for some stuff I was too lazy to fix in the parser. Don’t flame me, I know I could have used json_encode, I know that, but I did a function instead to make the return response JSON compliant, I may change this some day. This is the output that the Echo expects, it’s some JSON that returns all the data and the size. This is John Signing off. This entry was posted in Echo, Lots of Bugs on August 20, 2015 by admin.